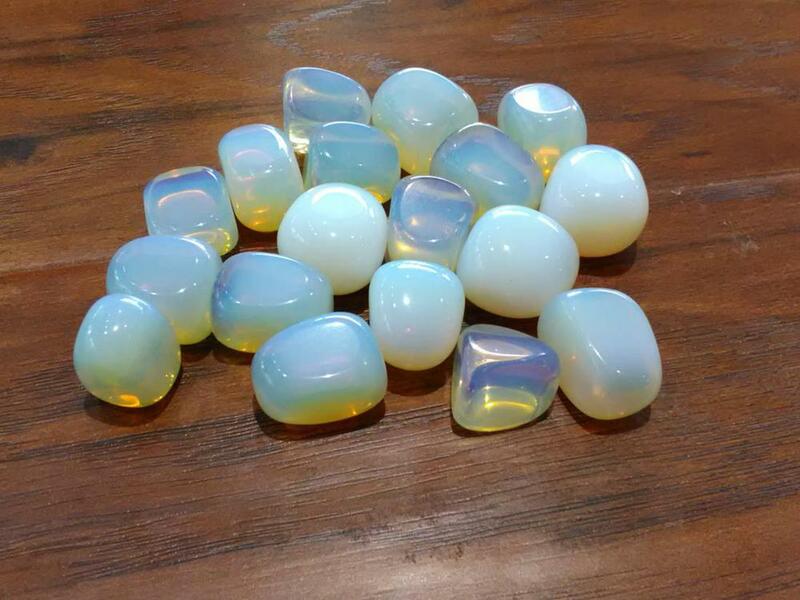 Opalite is a synthetic opalised glass and various opal simulants. Opalite is sometimes called the Tiffany Stone or Bertrandite.The streak of opalite is typically white. Opalite purifies the blood and kidneys. Used for the crown chakra, for heightening spiritual awareness and optimism. It sooths emotional instability and stress while promoting empathy and reception of female energies. It also encourage lucid dreaming and enhance intuition.